All platform bed frame projects are original and completely hand designed, with you, your guest, and your decor in mind. 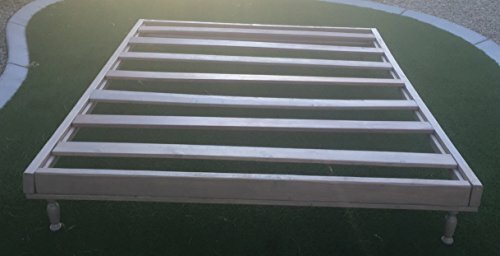 These bed frames are designed with natural wood, and natural wood imperfections to add uniqueness, and come in a variety of wood stain, and paint colors. This bed frame is solid wood, and can be designed in any size.